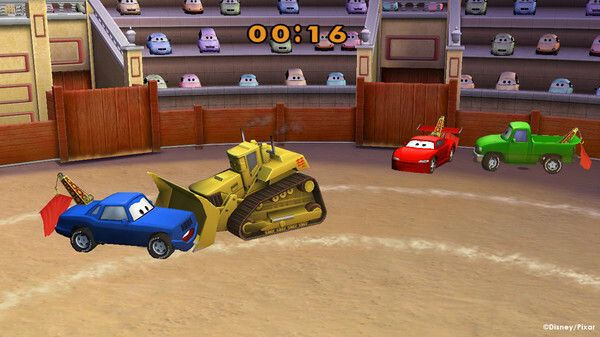 Cars Toon: Mater´s Tall Tales is inspired by Disney/Pixar´s wildly popular animated shorts of the same name. 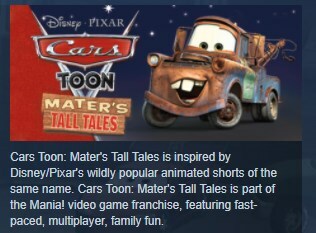 Cars Toon: Mater´s Tall Tales is part of the Mania! video game franchise, featuring fast-paced, multiplayer, family fun. The game is a frenzied pick-up-and-play experience to be enjoyed by everyone in the room. 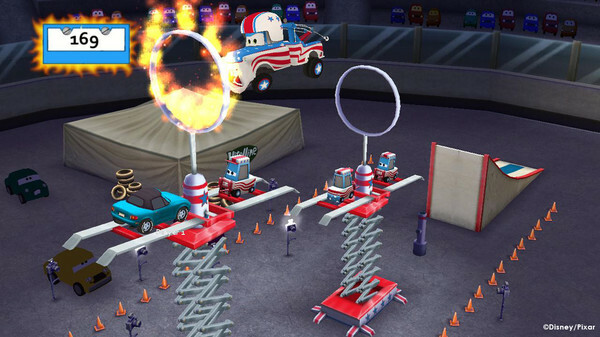 The game will bring Mater together with Lightning McQueen and the "Cars" gang for a new set of adventures, capturing the endearing sense of humor of everyone´s favorite tow truck. 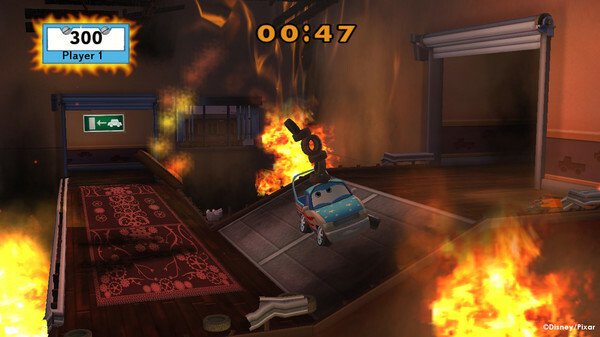 Players will join Mater and his pals as they relive the wild stories he conjures up about hilariously unpredictable events that may or may not have taken place.